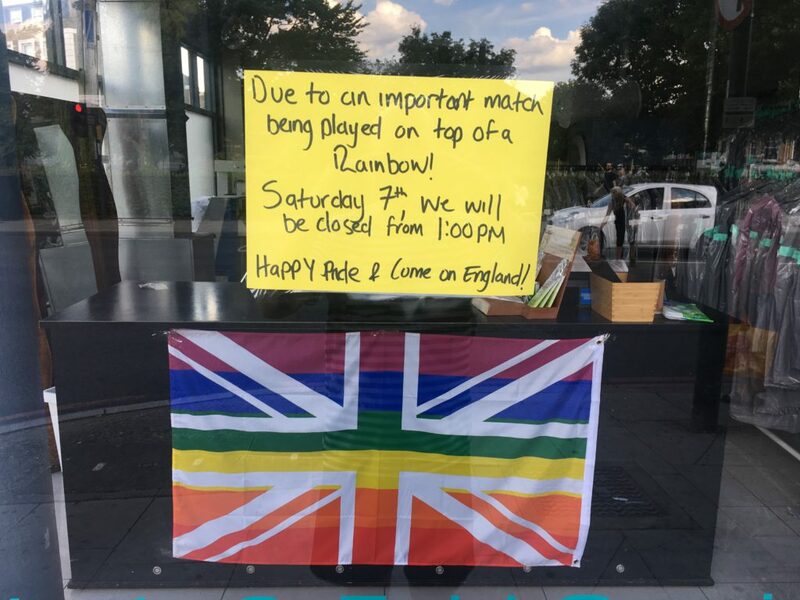 Yesterday, Saturday 7 July 2018, will be remembered by many Londoners for a long time: Pride filled the streets from Portland Place to Whitehall; followers of England’s World Cup adventures filled front rooms and pubs across the capital to watch the team win their quarter final against Sweden; sunshine blazed throughout. An exceptional day felt the more so for following the Prime Minister’s hard-won agreement about the government’s approach to Brexit and for coming exactly 13 years after a very different 7 July in London – 7 July 2005, when 52 people were killed in a hideous Islamist terror attack. The alignments and juxtapositions of past and present, joy and horror, progress and uncertainty formed by these collectively felt events won’t have been lost on Sadiq Khan, whose programme for the day contained honouring the dead of 7/7 before slipping into his Fred Perry to celebrate Pride and then settling down in front of the football. There is much more to any London Mayor’s job than what he (or, one day surely, she) stands for culturally, but it matters. The symbolism of Khan, the socially liberal practicing Muslim son of Pakistani immigrants from modest beginnings, winning City Hall in the face of a scaremongering campaign by his main opponents two years ago is still powerful in this city, fortifying the spirits of its Labour-voting, Remain majority – while probably taking its mind off some of the Mayor’s very real problems too – and personifying the most optimistic version of the modern day London story. It is tempting to take from yesterday a little more London self-esteem than is wise or merited: this year’s Pride looks to have been a delight, but a rise in homophobic incidents recorded by the Met shows that the capital is not as safe as we would wish it to be; members of the England set-up born in London, brought up in London, playing for London clubs – including manager Gareth Southgate, once of Crystal Palace – and even all three form a big presence in the England team and contribute to a multi-ethnic mix that has not always been taken for granted, but a few oafs still had to make nuisances of themselves in Stratford in the name of patriotism; London is still an open city, but terror strikes still menace us, including from within; meanwhile, the prospect of Brexit continues to create a sense of nervous limbo – who can really know for sure how it will affect the future of the capital and its people? 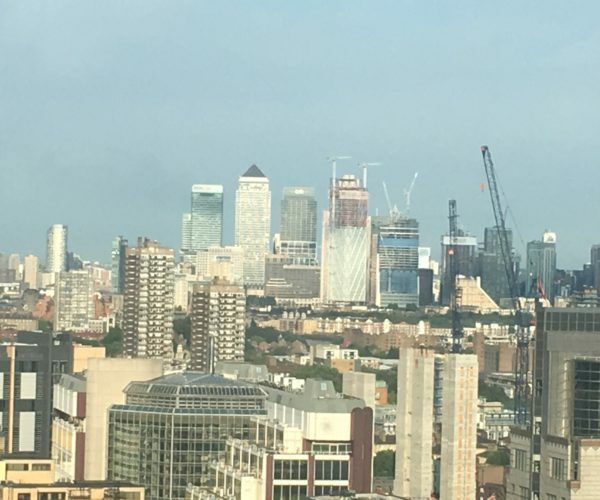 All that said, 7 July 2018 was not a bad day to be a Londoner. 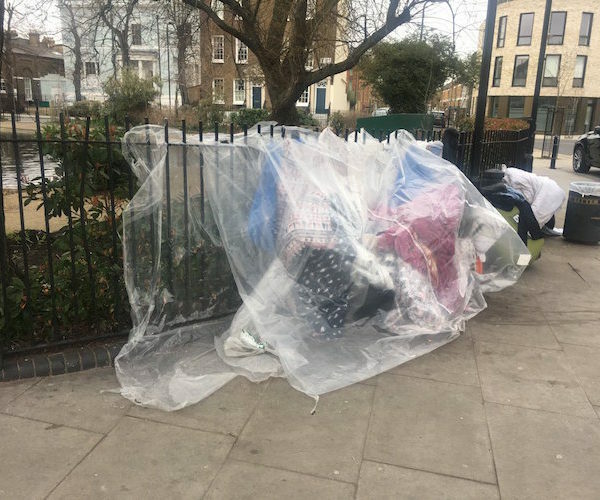 The photo at the top of this piece is of the shopfront of my local dry cleaner, which is run by Londoners of Turkish descent. The flag and the message speak very clearly for themselves. Richard Brown: Is Sadiq Khan’s mayoralty too much like an algorithm?